I find Beehvie properties so clean. Brittney let me know someone was always available if we needed anything. She check in several times before we arrived to see if there was anything we needed. Kitchen was well stocked with pots, pans and utensils. My sons friend who is in culinary school in Bozeman had no problem making a great meal in that kitchen. Thanks you for all your help. Everyone at Beehive is so friendly and helpful. They check all the time to be sure all is well. We had a fabulous time. This house is amazing. We loved the layout and enjoyed the views from every window. The location is beautiful and we had no problem skiing in and out. We had a wonderful, memorable stay. Worked perfectly for our trip. Friendly, helpful & great to work with to make our stay as we asked for..
We enjoyed our time & made awesome family memories.. It would be great if we could get a discount on lift tickets. Thank you for a wonderful time.. Friendly, helpful & great to work with to make our stay as we asked for.. We have used beehive management before & are thrilled with the great job they do.. organizing & the many behind the scenes hours to make your home away from home a great time!! The team was amazing, especially Brittany (my contact). She was super friendly, helpful and informative. Beehive Property Management is amazing! You answered all of my questions, kept me very well informed and had great suggestions regarding places to visit. Amanda and Brittney were terrific! Beehive was very easy to work with. Communications were prompt and clear. All transactions were handled without incident. 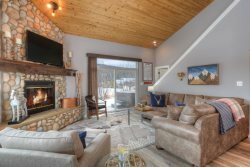 496 Firelight is a great property. Very clean. Lots of room. Kitchen and living areas are well appointed and stocked without being full of junk. Everything as promised/described in the marketing information on the website. With a 3rd bedroom set up as a bunkroom to sleep 4; this is a perfect set up for 2 families with with kids. The only negative is that the property is difficult to find if you arrive in the evening. The house numbers in this neighborhood are not lit and cannot be seen in the dark. could not be better first in my business I have been awarded #1 customer service dealer multiple years for large boat manufactures. Beehive team does a better job with me than I have done in my business. So guess they get a 11. Great Job!!! The man who serviced our hot tub was very competent. Very responsive to inquiries and issues. Awesome spacious and accommodating place with super comfy beds! Plus the hot tub was great! We loved it! Great communication about the area leading up and throughout the trip. Wonderful stay - we all thoroughly enjoyed it. Would definitely consider staying here again if in Big Sky.